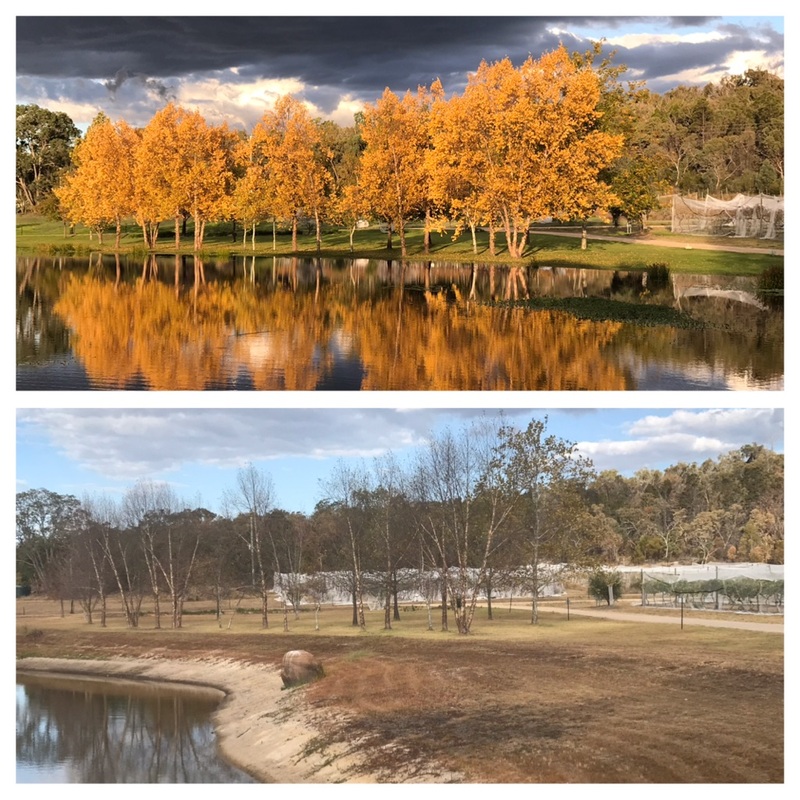 The top image was taken today in 2017 and the bottom image was snapped today – 2019. We are so at the mercy of Mother Nature and these images show what a diverse landscape water can make not only to beautiful sceneries but also to the realities of farming. The lake is not only a valuable asset from a dining alfresco point of view, but also the life-blood for our vines. Our fingers are crossed for substantial rain before Vintage 2020.